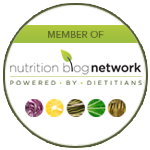 Let’s dive right into a common nutrition question: Is the gluten free diet best for those with PCOS? I often work with clients with polycystic ovarian syndrome (PCOS), one of the most common endocrine disorders impacting 5% to 10% of women throughout the world. The exact cause of PCOS is not clearly known, but it is thought to have a genetic link. First recognized by gynecologists in 1935 as the cause of menstrual irregularities, PCOS is now associated with many other health concerns including reproductive issues, hyperandrogenism (too much male hormone), and metabolic disturbances. PCOS is associated with a wide array of comorbidities due to two underlying processes—hyperinsulinemia (too much insulin) and hyperandrogenemia (too many androgens or male hormones). With early diagnosis and proper diet and lifestyle change one may avoid these undesirable symptoms. Achieving a healthy body weight (BMI<25), consuming a healthy diet (more on this in a minute), and maintaining adequate activity levels (no rocket science here!) help improve the outcomes of anyone diagnosed with PCOS. The overall goals of treatment are to improve symptoms, boost fertility, and prevent the risk of chronic health conditions. I have searched high and low using reliable and updated resources for the best dietary strategies. There is not one best diet to follow to manage this condition. However, there are helpful dietary strategies one may follow based on specific co-morbidities and/or symptoms. For instance, one woman with PCOS may present with a BMI of 35, fasting blood glucose of 105, HgA1c of 5.7 and HDL cholesterol of 41. In this scenario, an ideal dietary approach would specifically address her excess weight, increasing HDL cholesterol through healthy fat intake, and improving her blood sugar control. A reduced calorie, high protein (>40% of total calories), low glycemic, Mediterranean style diet would make a great fit! Comparatively, another woman with PCOS may present with a BMI of 24, all basic labs within normal limits, but active digestive issues including indigestion and irregular bowel movements. 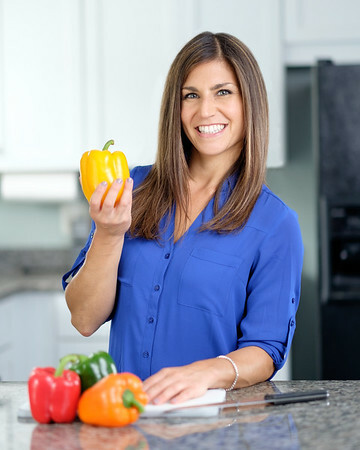 In this scenario, this woman may stay on her normal diet, of course optimizing it for general health purposes, but try out a gluten free or low FODMAP diet to help address the digestive complaints. Some sites out there anecdotally promote the gluten free diet for the PCOS population despite. There is no scientific literature to support this recommendation! Eek, I really said that! While gluten and wheat may contribute to chronic inflammation and autoimmune diseases, this dietary strategy does not reduce the inflammatory marker, CRP, which is often elevated in those with PCOS. I promote the gluten free diet when it is appropriate or as a part of a short-term elimination diet. I do not recommend using the gluten free diet for those with PCOS as a long-term, unnecessary, fear-based restriction. The gluten free diet may help improve the health of someone with PCOS merely due to the adoption of a diet lower in processed foods and carbohydrates that often comes with following this type of diet. But, specifically the removal of gluten from the diet has not been studied to help those with PCOS. PCOS is not an autoimmune disease, but rather a complex genetic disorder that impacts the endocrine system of the body. Furthermore, women with PCOS can modify various lifestyle factors to help reduce the risk of many co-morbidities including diabetes, cardiovascular disease, and infertility. However, the gluten free diet is not a known strategy to help improve or reverse PCOS. If you or someone you know has PCOS and needs help creating a lifestyle change to help manage this condition, reach out now to make an appointment!